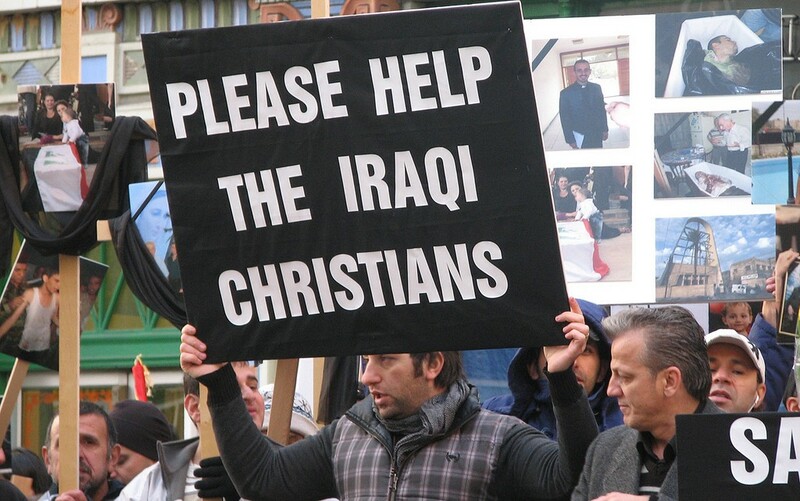 Heavenly Father, today we pray for the Christians remaining in Iraq. With ISIS reducing the Christian population from 1.5 million to 275,000 through forced exodus and slaughter, those who remain are precariously close to destruction. Yet you are known for preserving a remnant of your people. We pray you will preserve a strong and powerful remnant in Iraq. We pray these Christians will find encouragement from your Word, despite ISIS’ efforts to destroy all Christian materials. We pray they will find solidarity with each other, despite their need to keep their activities secret. We pray their fellowship with you will be so sweet that their faith will burn brightly. And we pray that the joy set before them (Hebrews 12:1-3) will be their strength each day they have left on earth. May those days be many and may they bring you glory. In Jesus’ powerful name we pray, amen.